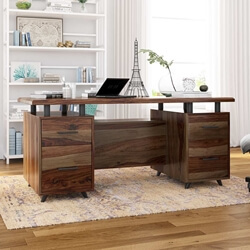 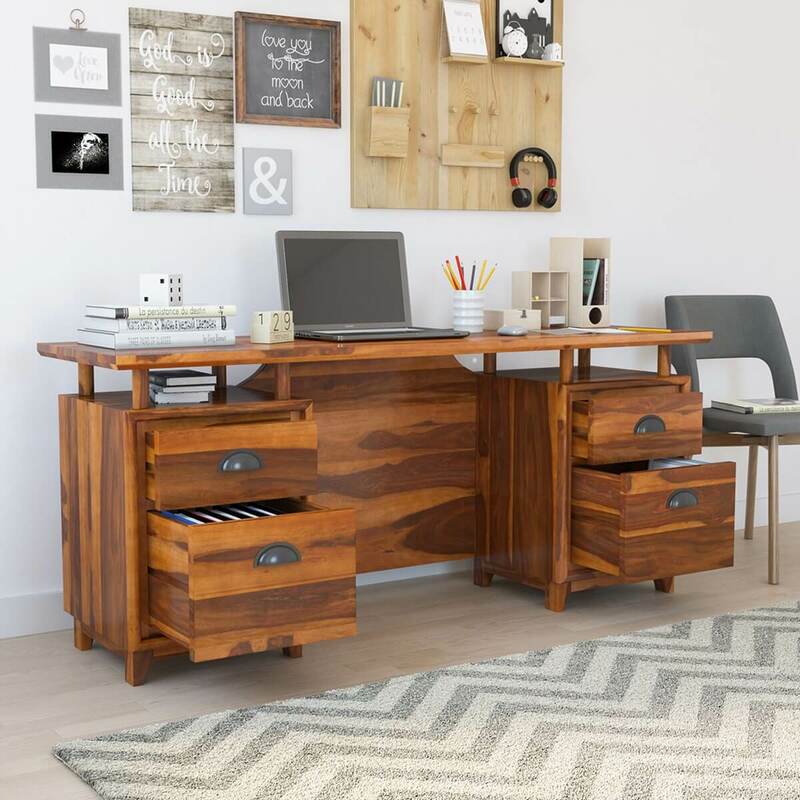 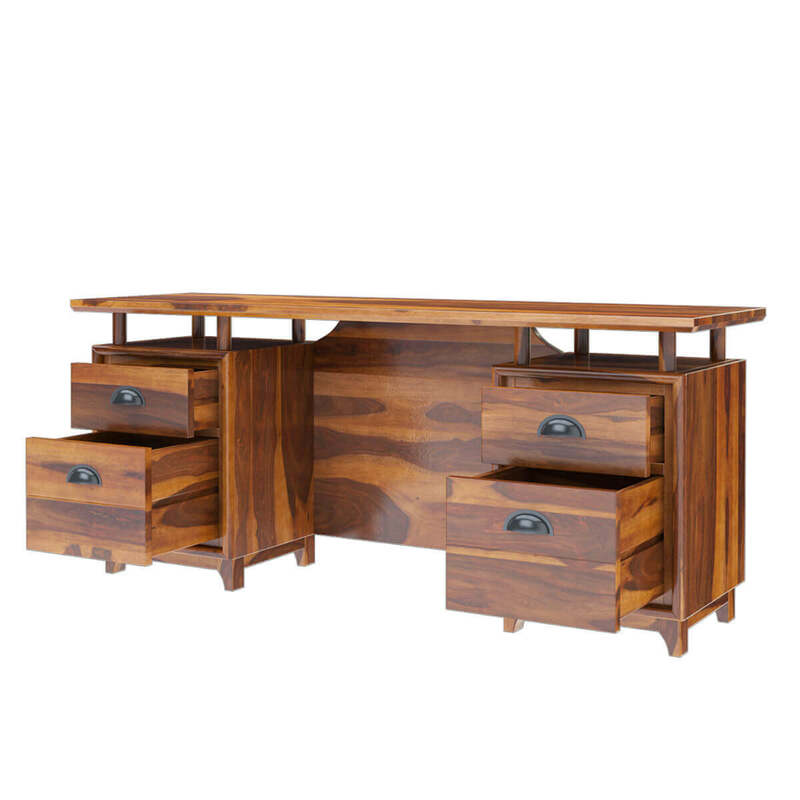 Sturdy, charismatic and full of personality, ourHondah Rustic Solid Rosewood 4 Drawer 67" Large Home Office Executive Desk would be the perfect piece for furniture to redefine your boring office spaces. 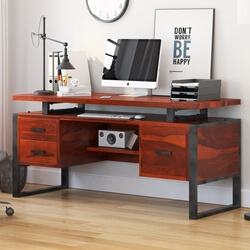 Featuring a double pedestal design, the overall look of this desk is highly unique. 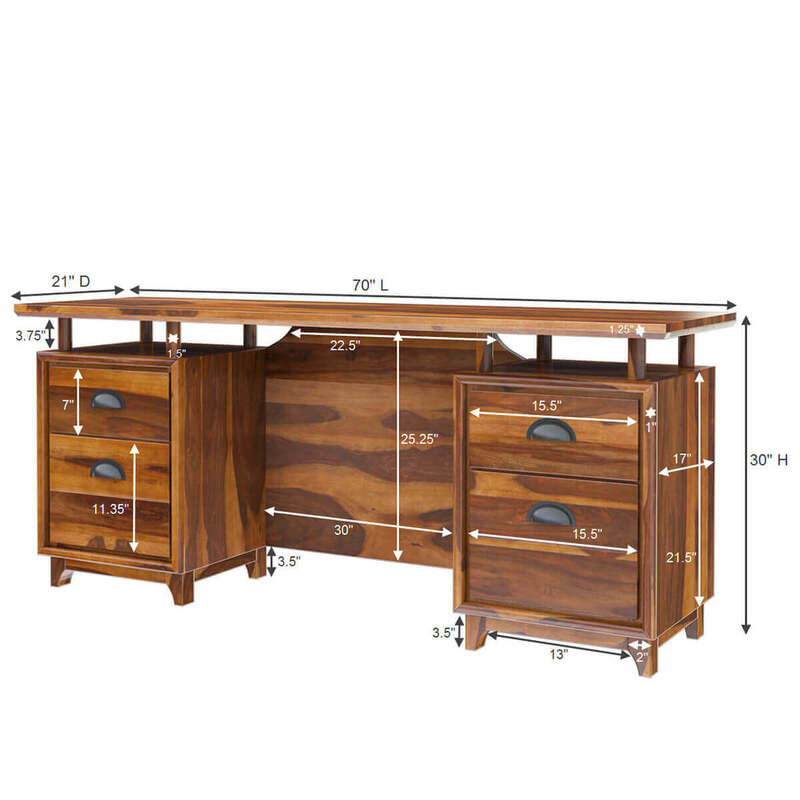 The flat top stands on narrow stilts that adds a delicate aura to the otherwise solid look. 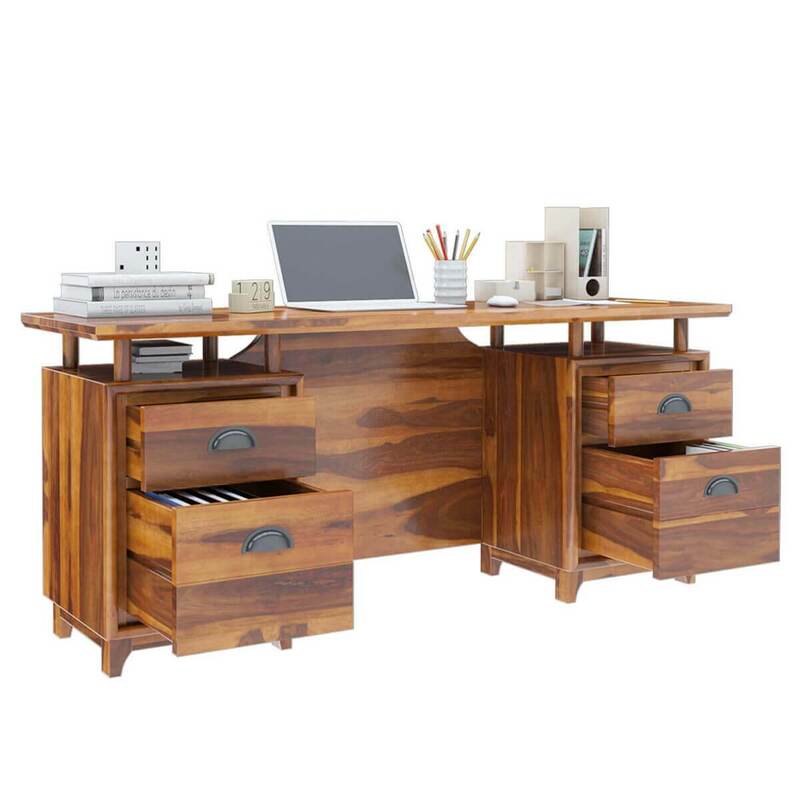 Each side of the pedestal houses 1 pullout drawer and 1 pullout filing cabinet with smooth wood glides. 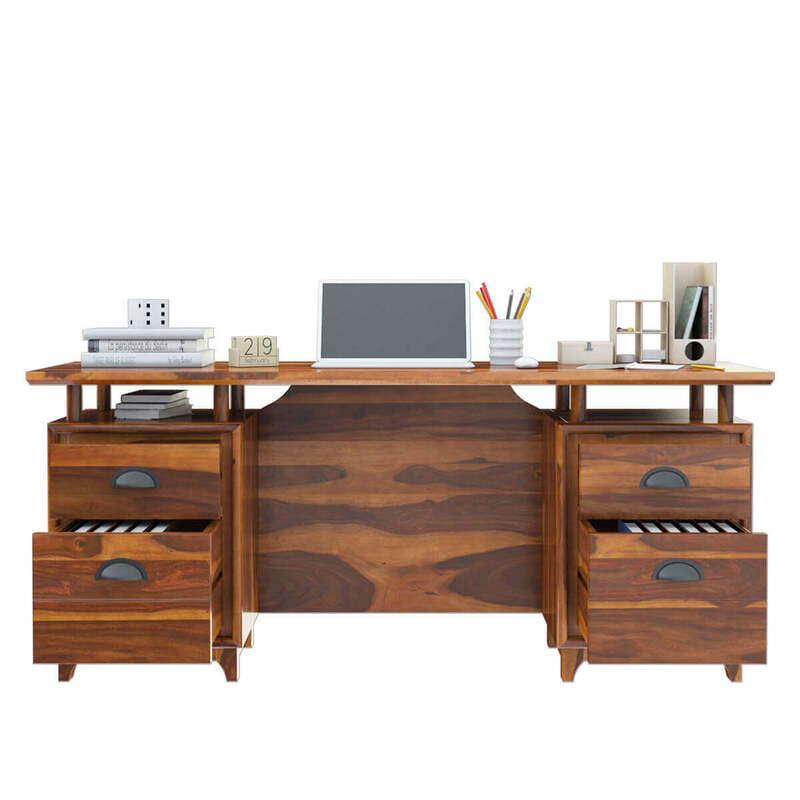 The two open shelves below the floating top too can be utilized to place files and folders. 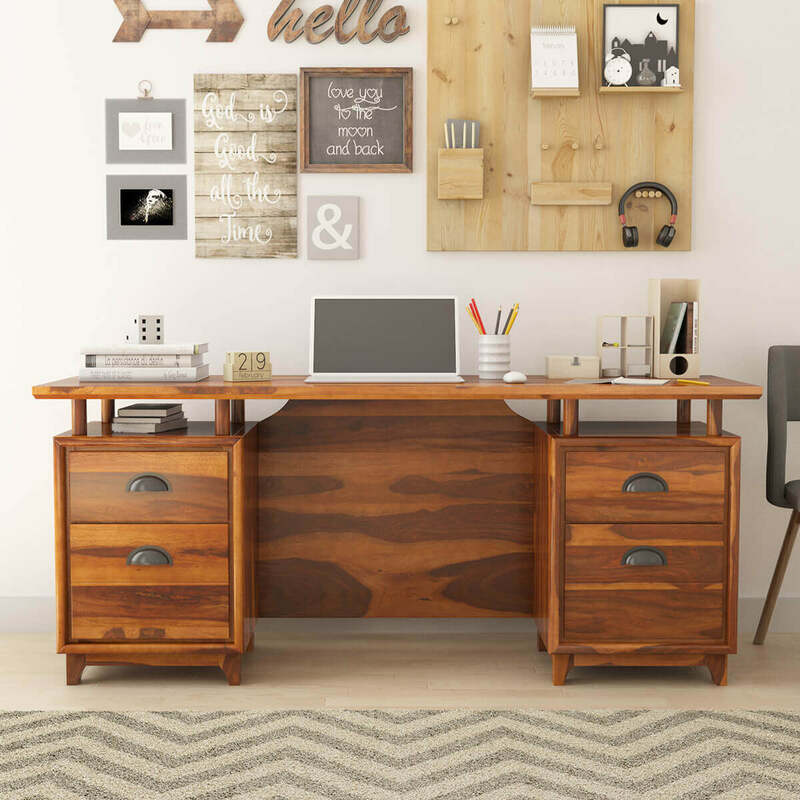 The hardware has been carefully selected to add a tinge of glamor to the otherwise simple looks. 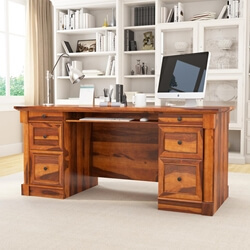 The feet of this desk are short and plain, though they do have a slight corbel-style roundness to them. 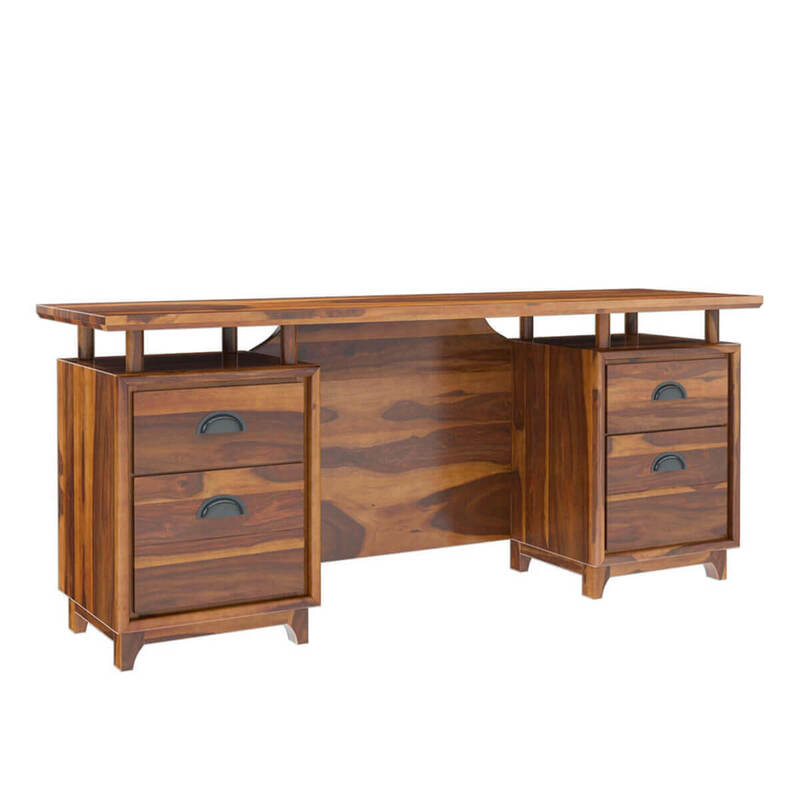 Handcrafted from solid Rosewood, this gorgeous executive desk will definitely add lots of character to your offices – whether in a home or in a commercial setting. 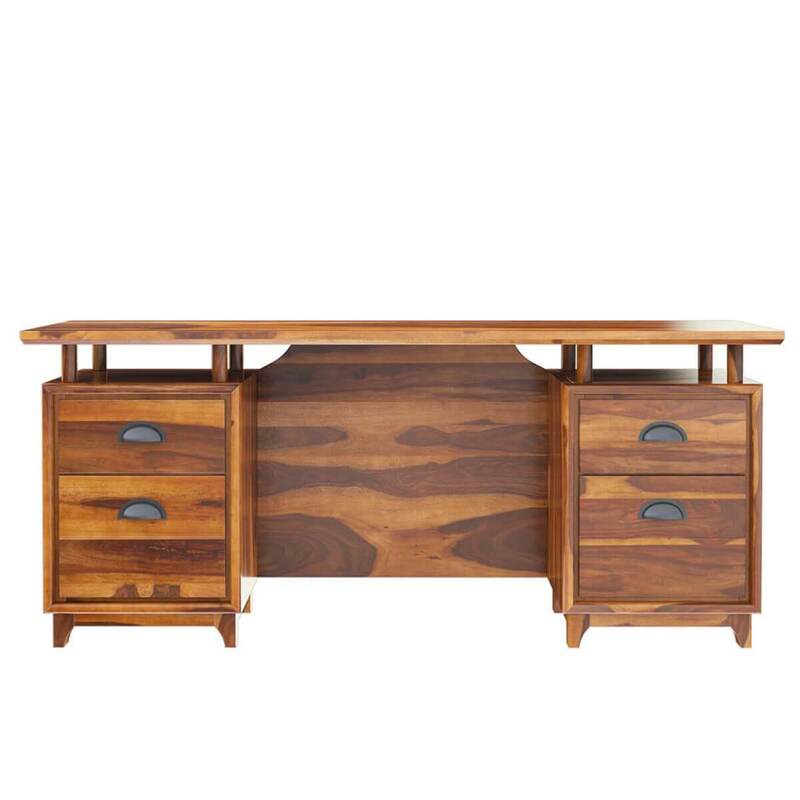 It also warrants an incredible heirloom quality that is sure to last you a while. 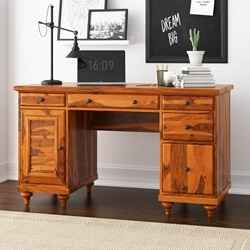 One of the best features of this rustic solid wood desk is its visual versatility. 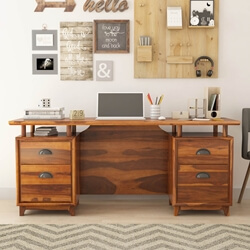 You can easily pair it up with a number of different interior design styles. 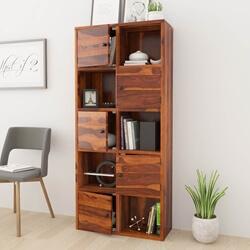 It would look absolutely stunning in either a rustic or a Scandinavian style interior design. 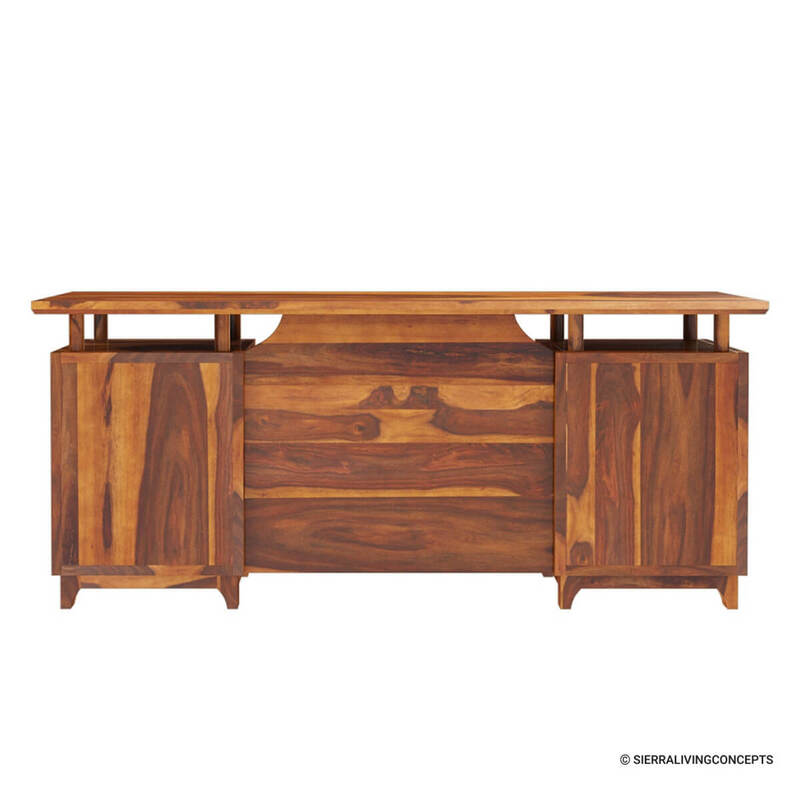 But it would look just as impressive in a contemporary or a transitional style interior as well.